Irvine. Over the years, the city has experienced major changes. The most prominent is the huge amount of growth in residents. In 2000, the city’s population was a little below 150,000. By 2018, the city’s population has swelled to over 260,000. But another major change concerns our city council. It is now being seen as a stepping stone to higher office. On December 19th, barely a week after he was sworn in as Mayor again, Don Wagner officially declared his candidacy for Spitzer’s seat. On January 2nd, Irvine City Councilwoman Melissa Fox announced she would run for California State Assembly for district 68 which encompasses Orange, Tustin, North Tustin, Villa Park, Marine Corps Air Station El Toro, Lake Forest, part of Anaheim, and 34% of Irvine. One might think such a trend is of no concern. 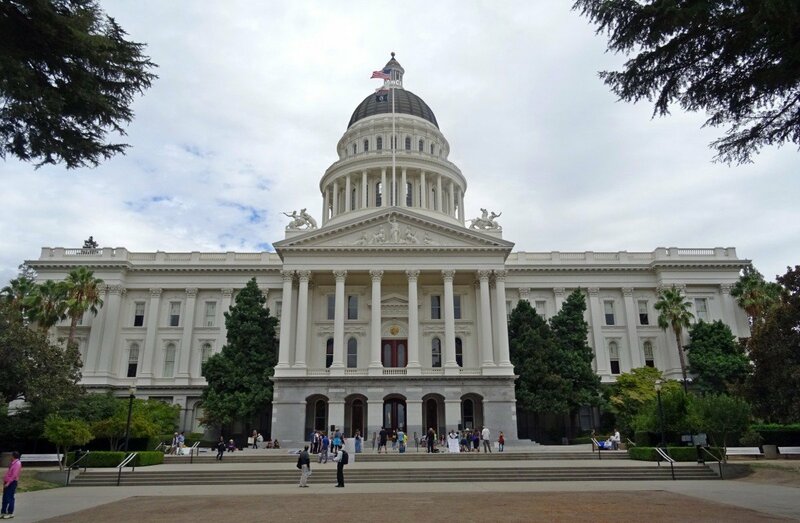 Among the current California Assembly members, half of them were once a member of a city council – from cities across California. If anything, this trend gives Irvine’s politicians more of an incentive to do well by their current constituents – that way they have more of a chance to move up. But this trend is of major concern for our city. In terms of elections in Irvine as in most other places, the most important factor is money as exemplified most recently by Don Wagner who relied on money rather than meeting or working with Irvine residents to get reelected. Note that the incumbent soundly beat his nearest opponent by 14%. In Irvine, the only groups, organizations or businesses with considerable money and the willingness to donate it has been the developers. But their interests have become increasingly at odds with Irvine residents as they attempt to build as much housing as possible and as quickly as possible. As a result, the city has become increasingly overcrowded in terms of traffic and schools. Besides the positions she would take in the Assembly (which these days seems to be either generic Democrat or the exact opposite in generic Republican), the statement describes the many organizations she has been in. But the statement along with an endorsement by Treasurer Fiona Ma are notable in what is missing: her actions and accomplishments in the City Council. What did Melissa Fox actually do in Irvine? As a candidate and councilwoman, she characterizes herself as a person who stands up to developers and their plans to overdevelop Irvine. But her actual votes and actions were different. She claimed to have never voted to increase housing but did so in the expansion of Concordia. She opposed a petition circulated in 2017 to 2018 to give more voice to residents in approving building projects in Irvine. She voted against putting the Veterans Cemetery in the ARDA site and even rejected millions of dollars in state money to locate the cemetery there – and despite promises she made that she would support that location. Perhaps more tellingly, she accepted donations of at least $10,000 from developer PACs. To her credit, Fox can see an opportunity. The evidence from 2018’s midterm elections is the suburbs voted against Trump. With strong incentives for Trump to appeal to his base (e.g., to lessen the possibility of impeachment), he has embraced issues, rhetoric and tactics that are likely further alienating the suburbs. As a result, Democrats like Fox with larger ambitions see a strong opportunity to challenge Republicans in more seats in Orange County and have rushed to stake their claim on this elected position or that. But for Irvine, this new trend means Fox and Wagner are likely only the beginning. Each Irvine politician who follows them will believe they might be able to move onto to the Assembly or Board of Supervisors by making sure they implement the priorities of developers. Considering that Assembly members make over $110,000 a year and OC Supervisors nearly $150,000, the incentive to please developers will be even stronger. So, the bottom line is this. Among all the changes Irvine is experiencing, one of them is occurring in Irvine’s city council. Increasingly, it is being seen as a stepping stone to higher office. Unfortunately, this does not bode well for Irvine’s residents or its future quality of life. I agree with your article Wesley but what do we do about it? How can grassroots candidates who really care about Irvine get elected when 5PT developer run million dollar campaigns to put “their” people in office against the grassroots candidates? I was really surprised and angry that Ed Pope didn’t win against Wagner. Most people agree that traffic congestion is a problem in Irvine, yet the residents voted to put the same puppet (Wagner) in office who has approved everything the developer wants that is causing traffic problems. What is the solution? I think this problem exists at all levels of government. Ambition has replaced the concept of civil service. I’ve read that US Congress people spend x number of hours a day in special phone banks for campaigning and soliciting funds. The people we’ve entrusted with OUR well being serve themselves at our expense. I think Mayor Wagner’s conceit of knowing he’d run for supervisor immediately after the election doesn’t even rise to the level of guise. Ms. Fox is only marginally better having served more of her term. As to what can be done, I’m unsure if there are legal reasons to prevent it, but I’d like to see the residents vote on preventing anyone from serving on the CC if they declare for another office. That would result in more special elections but it may also prevent these people from being afforded the protected status of sitting Irvine Councilmembers. As Irvine residents we deserve better people representing us. Melissa Fox and Donald Wagner may not meet that standard. Oliphant is such a blowhard (which is not abnormal for a full time academic). He thinks that everything he observes is the first time it ever happened. Sukhee Kang and Beth Krom both ran for Congress. Larry Agran ran for President. “She claimed to have never voted to increase housing but did so in the expansion of Concordia” Concordia had NOTHING to do with housing. That just doesn’t make any sense whatsoever. “She opposed a petition circulated in 2017 to 2018 to give more voice to residents in approving building projects in Irvine.” Fox opposed a half-baked, poorly drafted Initiative which would have removed the Council’s ability to make land use changes. “She voted against putting the Veterans Cemetery in the ARDA site and even rejected millions of dollars in state money to locate the cemetery there – and despite promises she made that she would support that location.” Professors aren’t supposed to repeat false statements. Please state the evidence that there was State Money. Sharon Quirk-Silva, the bill author is on the record that there was never any more than $5 M in State money. With the current cost of the ARDA site at over $90 M, that sounds like she did a great job for the Irvine taxpayers. “Perhaps more tellingly, she accepted donations of at least $10,000 from developer PACs.” That’s more telling? Every single elected official in Irvine in the last 20 years has accepted donations from developers and PACS. Every. Single. One. But that deosn’t fit Wesley’s biased writing, so he will keep pretending that politics in Irvine began in 2016 and that he has a clue how it all works. Neither is accurate, but when did that present an issue for him? Based on the defense of Melissa Fox and writing style, I believe this writer is Michael Fox, her husband. Let’s take apart his argument. Beth Krom and Sukhee Kang both ran for Congress cans Agran ran for president. That’s true. But all those campaigns were after they had served the city on the council or as mayor for multiple cycles. Fox is halfway through her first term. Concordia dealt with high density housing and traffic. But developers pushed for the project. The slow growth initiative was neither poorly drafted or half baked. It fell about a thousand signatures short due to limited funding and limited volunteers. The No on B vote and fears of unbridled developed lent credibility to the initiate. Fox was so terrified by it, she was able to wrangle a DPOC resolution against it despite being the only central committee member who voted for it. The reason there is no Veterans Cemetary in Irvine is due to Fox’s flip flop. Sharon Quirk Silva issued a press release Me oriel Day weekend 2017 saying she secured $30 in funding for the Cemetery. I have yet to see where her tune changed and there was only $5 million. ARDA costs are $77 million. Not $90. The $10,000 was from a dormant PAC that received $12k from a developer for Fox’s 2020 DPOC Central Committee race which subverted city of Irvine limits of $490. Yes, many elected official acceptance contributions from developers or benefit via IEs funded by developers. This $10k came just before a fox held a training session at her home to thwart No on B signature gatherers. Telling part of the story is dishonest. For example, on her blog Fox says she’s opened Irvine Community Land Trust meetings to the public. Missing from that post is that she voted to close these meetings to the public in the first place and led an effort to oust the committe’s longest serving member. Please Irvíne voter, do you know the true identity of John Scott Horner III? Gail, you ask how honest people who really care about the best interest of Irvine residents can afford to run a political campaign for City Council. Well, I have an idea. I believe that we need to amend our city charter to have district representation and increase our city council to 7 to 9 members like most cities the size of Irvine. The districts would be small and City Council members will each be residing in their district community and therefore will likely share interests, ideas and concerns regarding issues that the city of Irvine faces. District election campaigns will be much cheaper. Voter participation would surely increase. With a larger city council and district representations candidates will be much less dependent on special interest money and conflict of interest in Irvine’s political process will be reduced. We can achieve this goal in several ways. We can get the City Council to vote to approve these city charter amendments, or the City Council could place a charter amendment initiative on the ballot for voter approval. We Irvine voters could also put an initiative on the ballot.